Brno, Czech Republic is a city that has many vegetarian restaurants regardless of the small city. But there is a challenging for that. That is that Brown Rice (Rice Natural)  is not popular in the city. Through 1 year, I ate brown rice in the restaurant at once. only once. 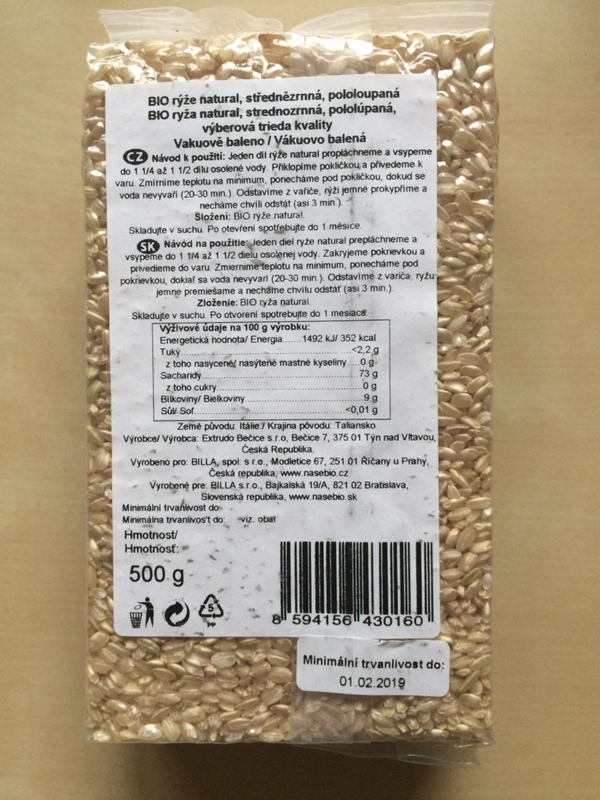 When I went to the vegetarian restaurant in San Sebastian, Spain and Zagreb Croatia, the brown rice menu was a regular official menu. Brown rice is much more healthy than white rice. Stop white rice, Start brown rice! 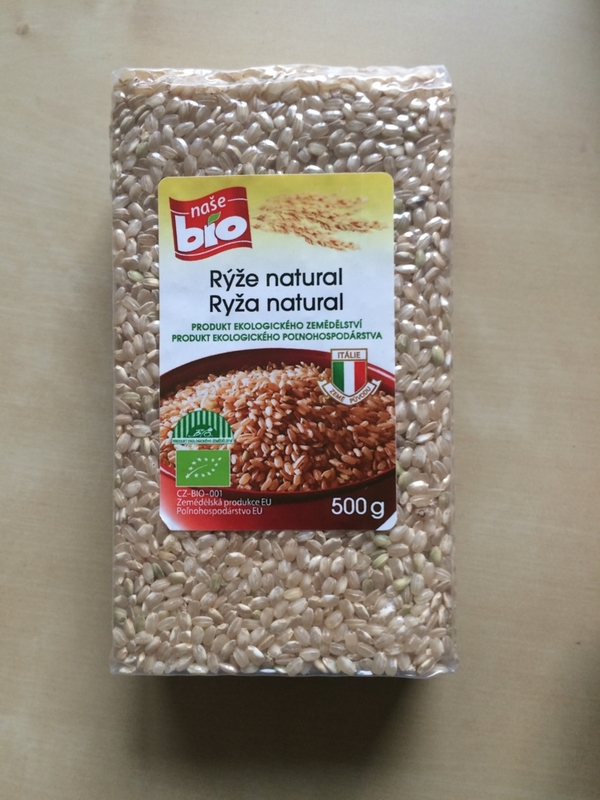 It’s hard to find favorite brown rice at super market in Brno. It is still minor than white rice. But finally I found my favorite brown rice. Look at these photos. This rice is the best in Brno so far. The figure is closer than Japanese rice. And take care of due date of it. You can see 01.02.2019. This rice is new and flesh. You can buy it at BILLA super market. But it is not in every BILLA. Find it by yourself :) Thank you BILLA. My best super market in Brno. But look at next photo. There are white rice (left side), brown rice(center), brown rice / LAGRIS (right side). The center’s brown rice is same company with previous photo. But due date is 2018. And the package box’s is closer for square. This is older rice. Left side white rice is white rice. Right side is another company’s brown rice. But look at figure of the rice. It is more slim than previous photo’s brown rice. Yes, the type of the rice is different. If you cook it with a pot, it may be no problem. But as I am using rice cooker machine, this figure is hard to cook for me. 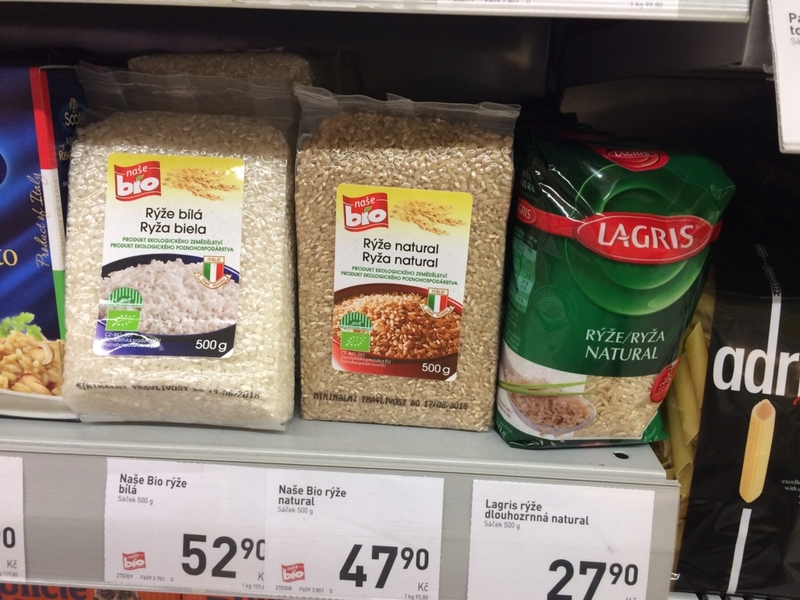 You can buy Japanese brown rice in a Japanese food shop in Brno. But as far as I know, I can not recommend it. Actually I bought it many times. But it was not tasty. Stop white rice, Start brown rice!